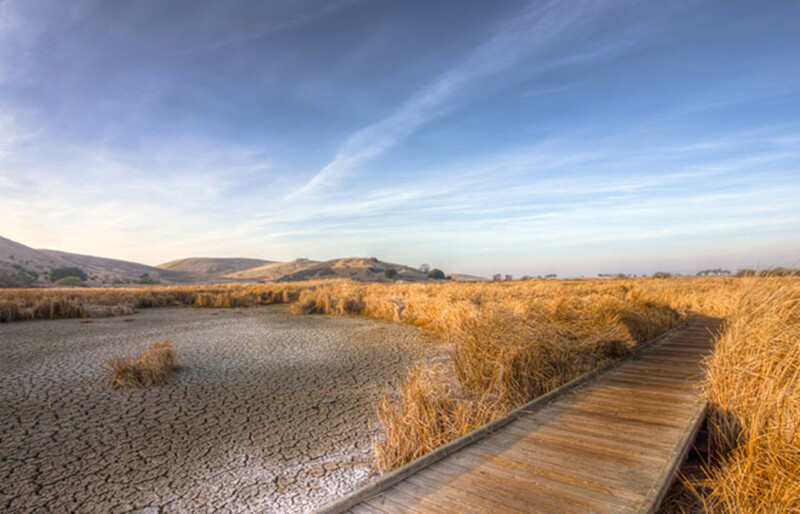 This year may be the driest in California in half a millennium. These reports explore how the drought is affecting agriculture, business, and living conditions in the nation’s most populous state. 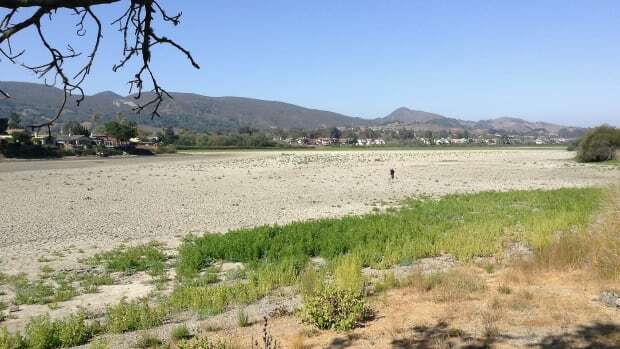 After a decade of relatively little rain, California is facing its third year of debilitating drought, and 2014 may be the driest in 500 years. The drought has placed a $44.7-billion-a-year agriculture industry, drinking water for millions of people, and some 204 cities located in high-risk fire zones in jeopardy. 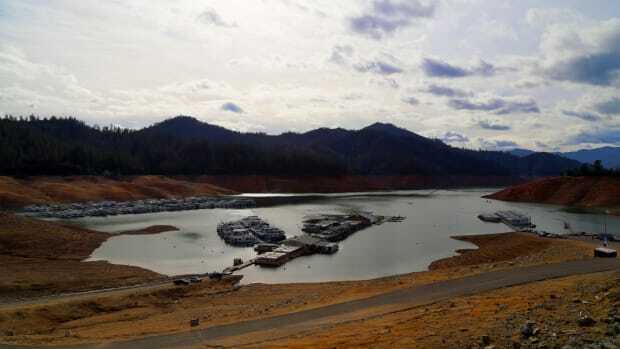 In January, California Governor Jerry Brown declared a drought emergency and in July the California Department of Public Health said at least eight communities could run out of drinking water without state action. 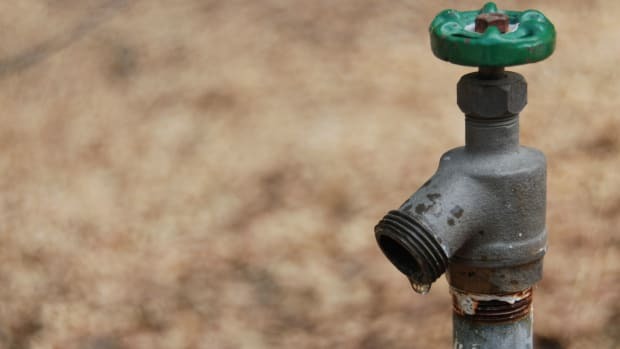 The State Water Project also shut off its supply to major urban and agricultural water districts for the first time in its history. California is the nation&apos;s largest state economy and agricultural producer, and so the state&apos;s well-being affects the entire country. ProPublica has rounded up some of the best reporting on California&apos;s drought, from fallowed farms to "zombie" water projects. It&apos;s impossible to understand the extent of California&apos;s water crisis without understanding where most of it comes from: snowfall in the Sierra Nevada mountains, which tower east of the state&apos;s central agricultural valley and western coastline. Sierra snowmelt accounts for one-third of California&apos;s water supply, but it is unpredictable. And with snowpack this year at a mere 40 percent of average, shortages are affecting drinking water supplies and hydroelectric power generation, impacting critical fish habitat, and harming industries from agriculture to tourism to chemical manufacturing. This comprehensive mountain-to-sea explainer lays bare the consequences of the drought. Agriculture is the biggest consumer of water in California, and arguably the hardest hit by the drought; this $44 billion industry is set to lose between $2 billion and $7.5 billion this year. As a result the state&apos;s big farms—many of which have faced water shut-offs—are looking to billions of dollars in aid, new groundwater wells that will draw down aquifers, or creative financial plans to buy and sell water rights to ease their pain. They are also hiring fewer farmworkers, meaning some 20,000 people may go without work. The drought crisis faced by California farmers is in the spotlight, but less understood is how many of those farmers use the precious water they say they so desperately need. This lengthy exploration of California&apos;s almond industry shows how farmers have invested in a crop that uses more water than almost any other, but which is largely for export and considered a luxury, not a staple. As a result, millions of tons of other crops will be fallowed and lost as water is allocated to keep almond trees alive, potentially bringing food shortages and higher prices to consumers. 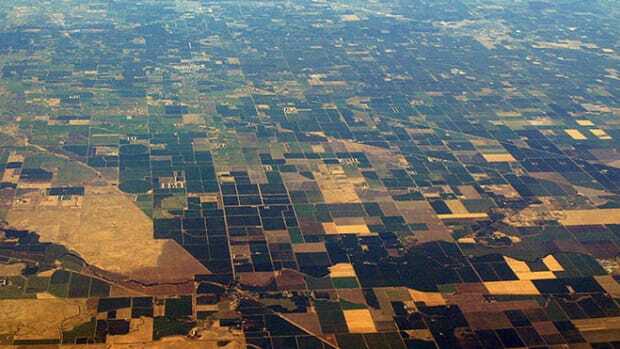 California farmers are making up for drought-induced cuts in their usual water supply by drilling groundwater wells to mine more and more from aquifers beneath the state. The problem is that over-pumping dramatically depletes a resource that was once reserved for emergencies, and literally causes the ground to sink across much of the central part of the San Joaquin Valley. California—unlike most of its neighboring water-stressed states—has no oversight and no restrictions on groundwater usage, something the state legislature is now looking to fix. Farmers aren&apos;t the only ones turning to groundwater to quench modern demands. A company called Cadiz has been trying since 2008 to tap an aquifer beneath the Mojave Desert and sell the water in the Los Angeles area. The company has been mired in controversy and permitting for years, but the drought combined with the prospect of building a 43-mile pipeline to pump 16.3 billion gallons of water towards Los Angeles each year has kept Cadiz stock on the rise. In May, California courts rejected environmental concerns and cleared the way for the project to continue. Plans like these, because they tend to come back to life only in the midst of a drought, sometimes get coined "zombie" projects. California&apos;s water comes from two giant, expensive, plumbing systems running hundreds of miles almost the full length of the state. Few systems are more complicated and intertwined with critical environmental habitat, which is why California Governor Jerry Brown&apos;s proposal to build a $25 billion pumping station to move more water to Southern California and bypass one of the country&apos;s most important waterways has drawn such a fight. The current canal and pump systems arguably drive the state economy and use five percent of all California electricity in the process. But their infrastructure is overworked and crumbling. Levees lining the Sacramento River are 50 years old and could collapse in an earthquake. New tunnels might replace some of those antiquated systems, but locals fear they will be used to drain the delta instead of protect it, as the project claims. This Atlantic long-read attempts to untangle what is undeniably one of the most important—and difficult to understand—political battles affecting California&apos;s water. In the West, rights to water were doled out to the first people who settled and claimed it, and those who staked that claim before 1914 are considered so senior in California that their water cannot be curtailed even as the rest of the state grapples with drought. This Associated Press analysis finds that California officials can&apos;t account for how much water nearly 4,000 of those senior water rights holders use—including some of the largest companies and cities in the state—even while they try to assess the state&apos;s total water supply and shut off water to junior rights holders. Life depends on water, and so it should be no surprise that birds, fish, and animals important to a thriving ecosystem are also threatened by California&apos;s drought as habitats shrink, breeding grounds are destroyed, parasites and disease spread, and food supplies dwindle. Native fish are especially at risk; 80 percent face extinction by 2100. The news is bad for the environment, and maybe even tougher for politics, since one of the biggest environmental fights in California in decades has been over how to reserve enough water to protect the natural flow of waters into the ocean and keep river deltas full enough to support fish. Last summer&apos;s massive Rim Fire near Yosemite National Park was the third-largest wildfire in California history, and stands as just one example of the destructive threat dry times pose to forests and fields. In 2013, an estimated 67,980 acres in California burned. That&apos;s nearly double the five-year average, and firefighters are bracing for worse this year. Research has shown that the number of long-term, large-scale wildfires has significantly increased since the mid-1980s, and correlate with years of above-average temperatures and small snowpack, such as the last three. In fact, the top eight largest wildfires since 1960 have all occurred since 2000. This post originally appeared on ProPublica as “The Best Reporting on California’s Drought” and is republished here under a Creative Commons license. A new analysis quantifies the impact of the drought in the world's eighth-largest economy. 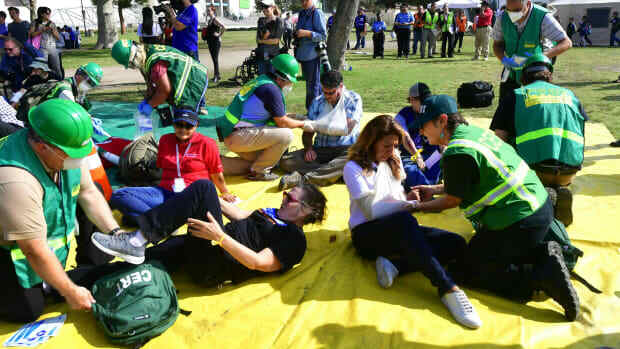 A major seismic event in the state is an inevitability, but is the government doing enough to prepare for the disaster?